My 3 month old pup is a Maltese Husky mix or Maltsky. Mom was the Maltese and Dad was the Husky. Purely accidental breeding, but he sure came out as a show stopper. Of course all the dogs in the litter do not look the same. Some has more Maltese features and some have more Husky features. But the all have the Husky markings. I named him Po after the Panda in Kung-Fu Panda because he looks like a panda and has short legs. I'm hoping he'll be about a medium size dog. He's very smart and already knows 4 tricks. Play dead is one of the hardest to teach him so far but we almost have it. If someone out there has the same type of mix but full grown, I like to see a pic to see how my Po will be when he grows older. It looks like your dog has more husky hair than maltese. Does it shed much?? 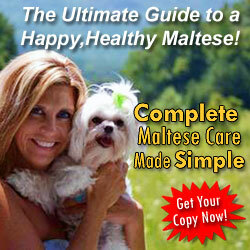 Why would you let the maltese (female) go through such a difficult birth? Mate her with a Husky? Get your brains checked. Atleast if the husky is female, it is tolerable. Stop creating breeds that have a mix of negative tendencies from both the breeds. Did she have any difficulty in delivering the pups? I own a maltese and im planning on getting her impregnated by a husky but im worried about the possible incompatibilities, size for one. I own one maltsky I want another where can I find one? 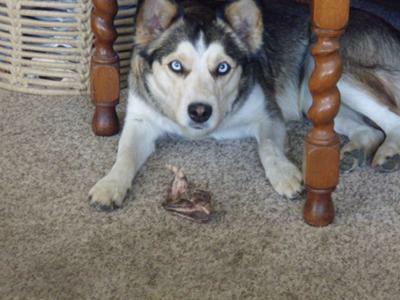 yes they do shed... well my dog skyy does. she is half and half. mom was a 60 pound husky, dad was a 5 pound maltese... she is 27 pounds. all white. long haired, green eyes. and sheds a tone. 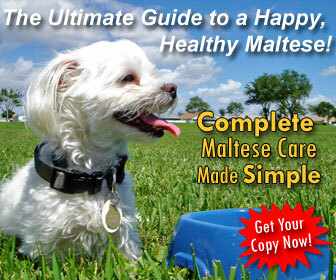 Does a Maltese-Husky breed shed? Can anyone tell me? Thanks! Hi, I'm very happy to see others have a mix breed that is also bringing them as much joy as my beautiful Maltese/Shitzu cross Husky. Slade was born 10 October 2012 so just celebrated his 2nd birthday. He weighs in at 17.4 kgs. He is friendly, intelligent, loving and sometimes a handful. He has only recently started to bite his underpaws and even though the vet has said it is just an allergy and has given me tablets, the rash is still persisting. Has anyone else had this problem or know how I can rid Slade of it naturally. Will post photo shortly of my boy. Best wishes to all. Wilma. Have submitted a pic, just waiting for it to be approved... just look for Tweety. Wow...a blue eyed mix? Do you pictures? I would love to see you Husky x Maltese mix. I also have a maltese x husky. 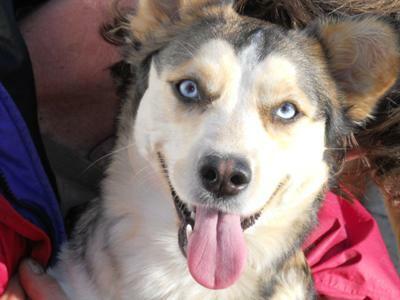 She has the Husky markings but a more long hair coat which starts of a sandy colour with black tips. She is fourteen months old now, and is about knee height. She also has the blue eyes. She is still highly energetic! Po is 13 months now and the husky is definitely still very pronounce in him. The only thing that makes him look like a maltese is his short legs and shaggy hair. He gets mistaken very easily for a Husky and Corgi mix. We groom him about once every other month. Also, groom his face to keep the shag down. For the first 3-4 months he didn't shed a single hair but now I have to vacuum the car once a week. LOL. So yes, the does shed. i'm looking at getting a maltese husky mix and i know maltese's shed very minimaly and huskies shed alot.... my biggest concern is the shedding. how is that with this cross?? I miss you my brothah! Woof oof off. When can we play? I give Po 10 stars. I'm 5 wks old, and I JUST WOKE UP! Kobe Beefie is my puppy's full name. 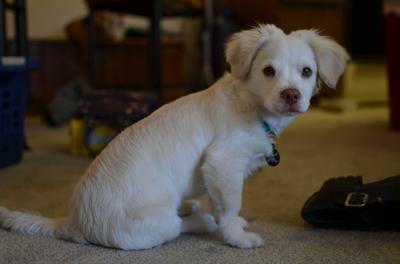 He is a Maltese Husky mix. Maltese have been my dream dog; I had always wanted one, but ever since this I laid eyes on Beefie, I do not want any dog except for him. Beefie encompasses the friendly, lovable, and gentle trait of a Husky and the appealing, not-as-hyper, and "lap-dog" nature of a Maltese. Beefie will lie quietly for long periods, either in my arms, under the bed, or on the couch. He falls asleep in a flash. One of Beefie's best characteristics is his soft FLUFFY coat. Man is it one of a kind! It has the glorious flow and downy of the Maltese coat, and the beautiful color and thickness of the Husky coat. We are still trying to potty train him. He seems to have mastered pooing on the peepee pad, but with peeing, he always aims at the corner of the pad. Any ideas on how to fix this? Beefie's favorite trick (or mainly mines) is the "Play Dead" trick. He is such a soldier. Not one word BANG can make Beefie fall. With my finger pointed about 5 inches away from his body, I have to say ~3-5 bangs, with the last BANG shaking the walls of the rooms before he does his belly flop. Haha. He likes that trick so much that when I say other commands, he automatically dives to the floor with his legs up in the air, ready for a treat as if he mastered the PLAY DEAD trick. I am having so much fun with Beefie. He lightens up my day like no other; Truly a blessing in my life. Beefie's brother, PO, is also featured on this website! He is also such a cutie! Check him out! I have a male husky and two female maltease and although your puppy is completely cute I could never risk my girls life and breed them like that.. I would however but a malt/husky mix then breed him with my girls.. Where exactly can I get such a rare breed? Do you know where I can find one of these puppies near virginia? 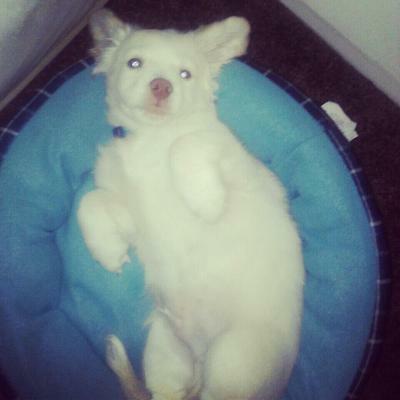 hi i have a maltese husky mix to! her name is candy and can you add more recent pics please!! 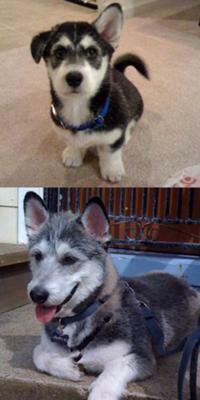 to see how he looks now!i never seen another maltese husky mix in my country. i think candy is the best dog i ever had i love her so much!! the cutest thing i have ever seen ! where did you get him ? Can you ad a more recent picture please? I'm dying to see how he looks now.I always wanted to mix these 2 breeds and see the combination. Hahahahha Hi jimmy!! 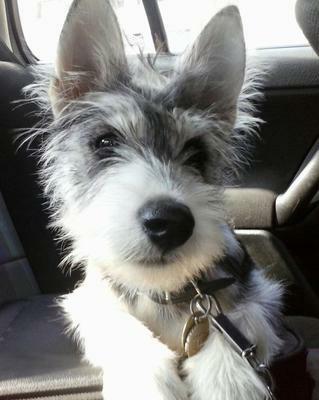 i was randomly searching stuff on maltsky puppies and ur post came up. lol just wanted to say to beefie! he's so cute are smart! i'm trying to teach pupu spin and play dead right now too.. kinda hard.. how'd u do it? Two Paws UP! for Beefie! Hi Beefie, we are two Maltese dogs LuLu and LoLLy! We love your pikture! It looks like you just took a nap! We are eggspurts on napping. We praktice all the time! Two Paws UP! you you and prakticing so young! Also, have you heard about doggy yoga? It is so eggsiting! Check it out at http://www.luluandlolly.com! Your Maltese PaLs, LuLu and LoLLy! by the way, nice dog...i wish i can own one for myself. Where did you get him? I want one! Just have to convince Matt, hehee. I think I'll show him pictures. I just like Beefie without any reason. hi sister, your room smells like pee cus of beefie. thanks to him, when i enter your room, i have to help you open your window. beefie is a cute name for a dog, but i think patrick is a cuter name for a dog! haha, just kiddingg patrick! What a very cute puppy. Beefie, I think mommy Paulineeee is crazy. Crazy in love with you. Mia is a mix between a Maltese, Husky, and Shepherd (though the exact breed of Husky and Shepherd are unknown). She is 6 months old. Mia is all black with some white markings on her paws, nose, chest, and tail. She looks mostly like a very "large" Maltese, weighing in at 25 lbs. She does not shed, and house-breaking her has been an ordeal. Her personality is most like a standard Maltese, though she seems to have a bit more energy than any Maltese I've ever encountered. sheShe enjoys constantly running, tormenting our cats, or barking at anything that moves outside (especially people walking by and other dogs!). When people are within arms reach, she enjoys sniffing, licking, "dancing" for them by jumping around on her hind legs, and being petted. We are so glad to have this unique Maltese mix as a part of our family! I have been wanting a Maltese for quite awhile now... I was wondering where you got Shed. 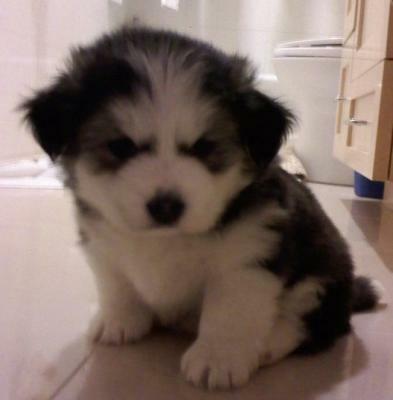 A Maltese Husky mix looks soooo cute!!! :) Just wondering... You should post a picture. Shed sounds wonderful, please put up picture. I can't imaging what this baby looks like. 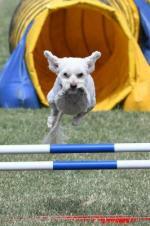 My daughter has a Maltese - Shih-Tzu mix...he is definately more Maltese....just bigger. He's almost a year old (this month), and looks more like a minature sheep dog. I love watching the maleste personality come out...as I am sure you will with your Mia. What a wonderfully interesting combination you have, sounds like a wonderfully terrific dog! 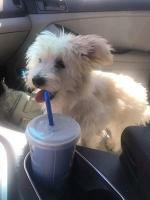 Tweety is a Maltese x Husky mix that was born 13 January 2010. Her mother is a Maltese and daddy is a Siberian Husky. She is very cute, and highly energetic... loves to play with anything she can get her mouth on! 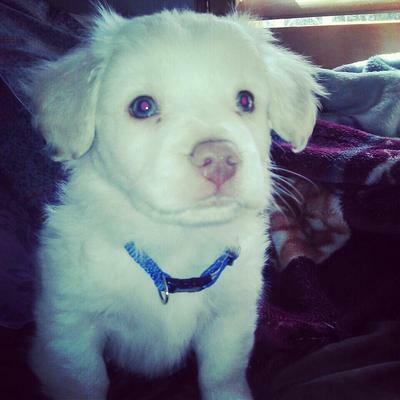 My beautiful Maltsky Koda <3 Mom was maltese dad was white husky, already bigger then a maltese at 3 1/2 months! Playful like a husky, lap dog like a maltese. Wow, I can't believe a maltese and husky were able to breed. Must have been a logistical nightmare! Tweety is beautiful, but it's hard to see the maltese in there.